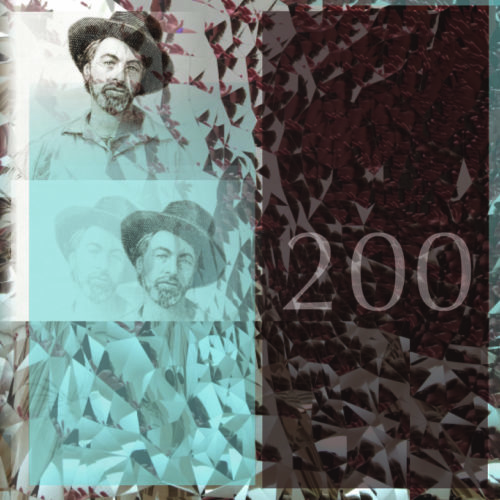 To celebrate the bicentennial of Walt Whitman’s birth and his lasting contribution to American letters and song, Lyric Fest presents two concerts with distinct programming of Whitman songs in Philadelphia. Presented in two parts, Lyric Fest premieres of 10 new works alongside extant settings of Whitman with each concert featuring a quartet of singers, a pianist and instrumentalists. Whitman expert Greg Trupiano narrates; actor Jim Bergwall recites the poetry and reads from Whitman’s letters. A composer talk precedes each concert. A third performance of all commissions will be offered in NYC with The Phoenix Concerts, Inc. Composers: Melissa Dunphy, Derek Bermel, Gilda Lyons, James Primosch, David Shapiro, Curt Cacioppo, Glen Roven, Isabella Ness, Raymond Lustig, Nkeiru Okoye, and the winner of the young composer competition. Singers: Amy Van Roekel, Kelly Ann Bixby, Hannah Ludwig, Raehann Bryce, William Burden, James Reese, Keith Phares, Sidney Outlaw; with pianist Laura Ward.